With the close of the 2017 legislative season, employees of small businesses or who work at small locations in California can celebrate the passage of SB63, which provides for protected parental leave. Previously, only employers with 50 or more employees within a 75-mile radius were required to provide this protected leave. Now, under SB63, employers with 20 or more employees within a 75-mile radius will also be required to provide parental leave. To qualify for this expanded leave, employees must: (1) be employed for 12 months; (2) have worked at least 1,250 hours in the previous 12-months; and (3) work at a location where the employer has at least 20 employees within a 75-mile radius. Qualifying employees are now entitled to 12 weeks of protected parental leave in connection a child’s birth, adoption or foster care placement, along with other benefits such as continued health insurance coverage and reinstatement rights. 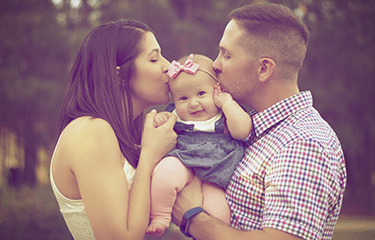 If you do not qualify for protected parental leave or your leave is due to a disability or medical condition, you may still be entitled to protected leave under federal and California law. Both the Americans with Disabilities Act as Amended (“ADA”) and the California Fair Employment and Housing Act (“FEHA”) protect disabled employees and require employers to provide reasonable accommodations which will allow a disabled employee to perform the essential functions of their job. A reasonable accommodation can include a leave of absence for an employee who does not otherwise qualify for protected leave or an extended leave beyond an otherwise protected leave (i.e. leave provided under the Family and Medical Leave Act or the California Family Rights Act.) Both the ADA and the FEHA require employers to engage in an interactive process with employees to explore possible accommodations. Employees in California also enjoy leave entitlements beyond those related to parental leave or disabilities/medical conditions. California employees may also qualify for protected pregnancy leave (“PDL” which is more than the traditional concept of maternity leave), paid sick leave, school activities leave and leave for military members’ spouses, just to name a few. Another key component to many leave laws is the protection against discrimination, harassment and retaliation. In many instances, employees who need to exercise their protected leave rights cannot be subject to discrimination or retaliation as a result, nor can they be subjected to harassing conduct. For example, an employee who requests a reasonable accommodation cannot be subjected to a hostile work environment on account of that request. If you require a leave of absence for one of the protected reasons or some other modification to your work environment to enable you to perform the essential functions of your job and your employer refuses to consider your request or otherwise takes an adverse action with respect to your terms and conditions of employment, you should consult with an experienced employment attorney in Newport Beach. Matt D’Abusco and Cynthia Sandoval, both partners at Ares Law Group, P.C., have a collective 30 years of experience in employment law and litigation. The employment attorneys at Ares Law Group have worked at the most renowned and prestigious labor and employment firms in the United States representing local, national and international employers, including Fortune 100 companies, in individual and class action employment litigation matters. This background and experience allows our attorneys to approach each case with a unique perspective. Understanding how their adversaries view and defend cases, their strategic perspective is invaluable to clients.